Skylinerw hasn't edited since April 13, 2018, so they will probably not receive any messages left here. Please keep this in mind before leaving a message. 7 concerns on legal issues. It wasn't vandalism, just colloquialism. British even. I've tested every single block with every data value, and the ones listed plus webs are the only ones that render in a flower pot. I don't know how you are getting iron bars, wool, or beacons to render. Am I missing a tag or something? Also, I'm pretty sure that the Item tag is an int, not a string, at least in 1.7.5. 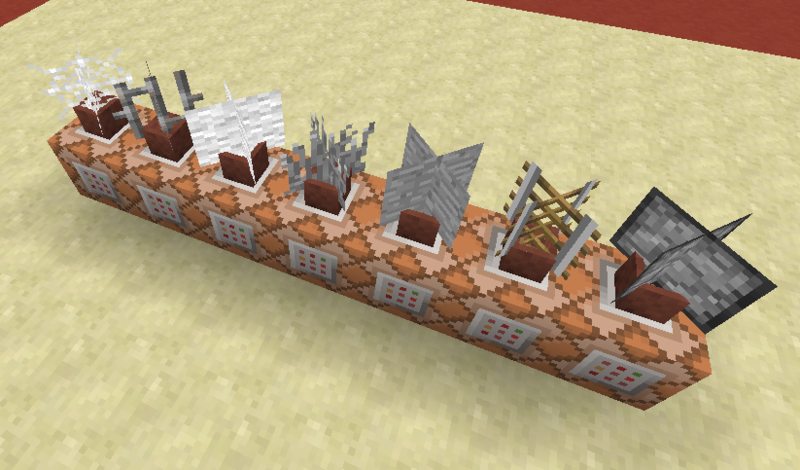 And while a large number of blocks do render, there are still some that don't, such as cauldrons, brewing stands, redstone, comparators/repeaters, and doors. So since there's a huge number of blocks that do render, the list of valid blocks instead contains those values that would refer to blocks that can be placed within the flower pot in-game. Some of them require specific "Data" tag values, such as "tallgrass", but then each of the other valid IDs would need their corresponding "Data" values listed. Might be worth removing the list entirely and pointing folks to the flower pot page instead. Currently an overhaul is in the works on the whole metadata concept, which would be its replacement with "block states". So instead, all blocks will have item IDs instead of Damage values (so something like minecraft:wool_red instead of minecraft:wool with a Damage value of 14). Unfortunately there's no known time when this will be completed, but would fix the issue about listing every single "Data" value (unless, of course, the list is removed and people are redirected to the flower pot page). Take a look at the picture, as you can see my cursor is pointing in the middle of four blocks when I am at x+0, z+0 looking straight down. I play Minecraft Windows 10 Edition and I see it in the creative inventory. Here is a picture to prove it. MC.net/community can't be referred to for 3 reasons: 1 - minecraft.net is an outdated rescource that is no longer updated and hasn't been since 2 years ago. 2 - many of the sites that the /community page mentioned are either closed or unused. 3 - MOJANG.com is the official website for minecraft with updates and information. MOJANG.com does NOT refer to minecraftforum.net as being an official forum or resource for minecraft. Other LEGAL factors causeing your claim that MCF is official to be false.... 1- CURSE.com (who owns MCF) is not owned operated or maintained by Microsoft or mojang. 2- Income from your site DO NOT go to support or maintain the minecraft game. They go to support a few of your staff and curse.com employees. 3- Everything posted on MCF in the news section are DIRECT REPOSTS from information on the MOJANG.com site. 4- News and information is not maintained by ANYONE connected to mojang or Microsoft. But, MCF and MCwikia are the largest and most active for the minecraft game. Please understand that these are not my claims as the line & reference has existed for a very long time, since 2011. Your edit contradicted the line on the sourced official Minecraft website and was thus reverted; standard cleanup. Regardless, minecraft.net is owned by Mojang. If the details on that page are outdated, can you provide an up-to-date link to mojang.com where it states the opposite or makes clear whether or not the forums are an "official" resource, or perhaps a word from a Mojangster, or some form of official word? Do you have a source that the site has not been maintained for 6 months? Saying a reference is outdated but not providing an updated source does not help resolve the quotation. Also keep in mind that the word "official" does not mean "owned by". A game company could have a third-party service create a guidebook and call it their official guidebook, even though they do not own the service who published the guidebook (examples here, not to mention countless other examples where an official strategy guide is involved). This page was last edited on 15 February 2019, at 09:33.